Nearly new 3 bed, 2 bath ranch with a 3 car garage! 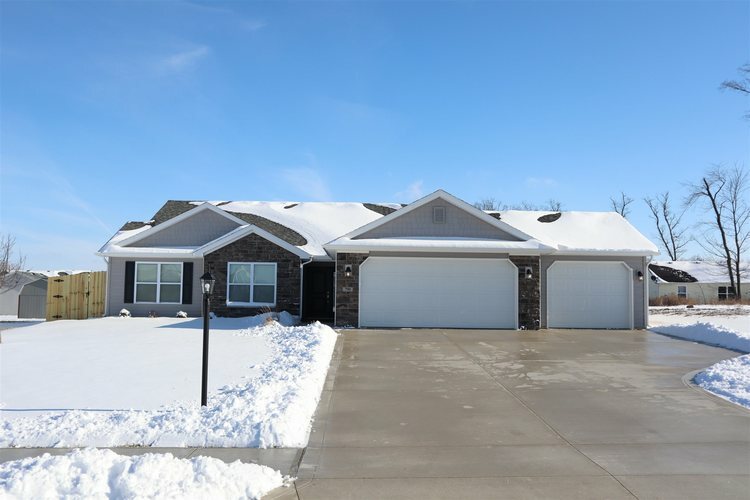 Construction was just completed on this home in 2018, and still has the new home smell! Brand new 6 foot privacy fence and lovely yard will make it easy to relax with friends and family. Pet turf installed in the backyard, upgraded blinds, new appliances, and a heated third bay in the garage! You won't want to miss this one. Schedule your private showing today! Directions:North of Churubusco on 33 to 550 N., L. to Turtle Run, L. to home on Left.